Have you ever thought about making your own salad dressing? If you haven’t, it may seem intimidating or time consuming. But guess what?! It’s not! It’s so easy! Today I’m sharing 4 homemade Jam Jar Salad Dressing Recipes with you that come together in about 2 minutes each. Clearly not time consuming, right? 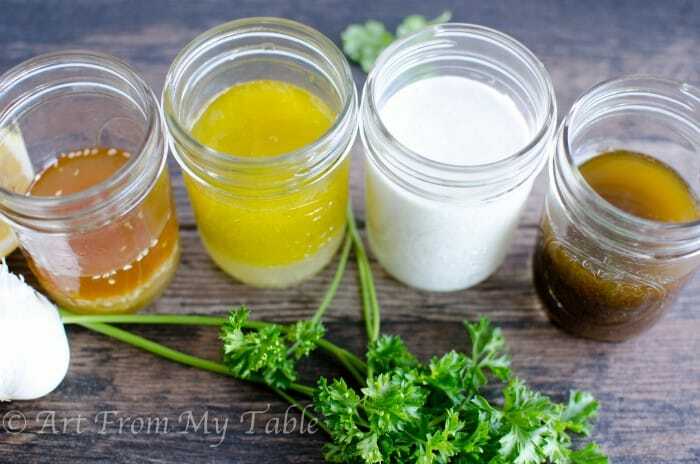 Homemade salad dressing is much healthier for you than store bought. The first time I made my own dressing, I was amazed at how easy it was. I seriously thought– I never need to buy a bottle again! Now it has been years that I’ve been making my own and I really don’t think twice about it. I love using jam jars to make the dressing for a couple reasons. 1) I’m not creating extra dirty dishes. 2) Just shake it up to mix it. 3) They look pretty! 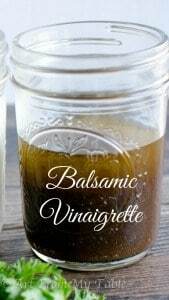 Along with the 4 Jam Jar Salad Dressing Recipes, I’ll share the basic parts of homemade dressing, and you’ll be well on your way to creating all sorts of your own concoctions! The freshest ingredients, all natural, no preservatives… ready to get started? *Balsamic is my #1 go to salad dressing, it’s good on everything! We eat it on a garden salad as well as green salads with fresh seasonal fruit. 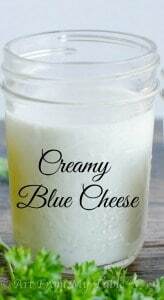 We also love this on a salad with apples, dried cranberries, goat cheese, caramelized onions and walnuts. Mixing fresh fruit, dried fruit and nuts is one of my favorite salad varieties. Now that you have the jam jar salad dressing recipes, let’s break it down a little further. See? 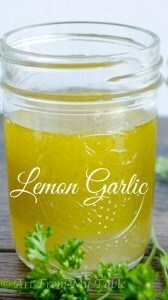 Dressing can be as easy as only 2 ingredients! Acid consists of vinegar or citrus juices such as red white vinegar, white wine vinegar, balsamic vinegar, rice vinegar, lemon juice… and the list goes on. On my busiest days, I’ve been known to use only olive oil and balsamic vinegar, and it still tastes great! Have you ever been to one of those oil and vinegar tasting rooms? Oh my deliciousness! There are countless options of infused oils and vinegars. So, there you go! 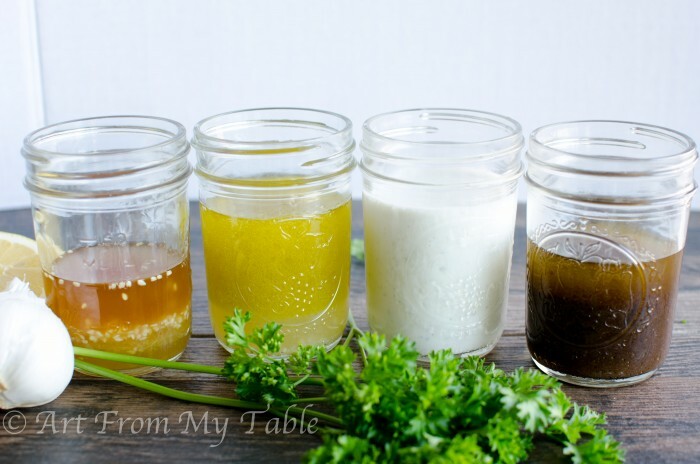 4 Jam Jar Salad Dressing Recipes to get you started! 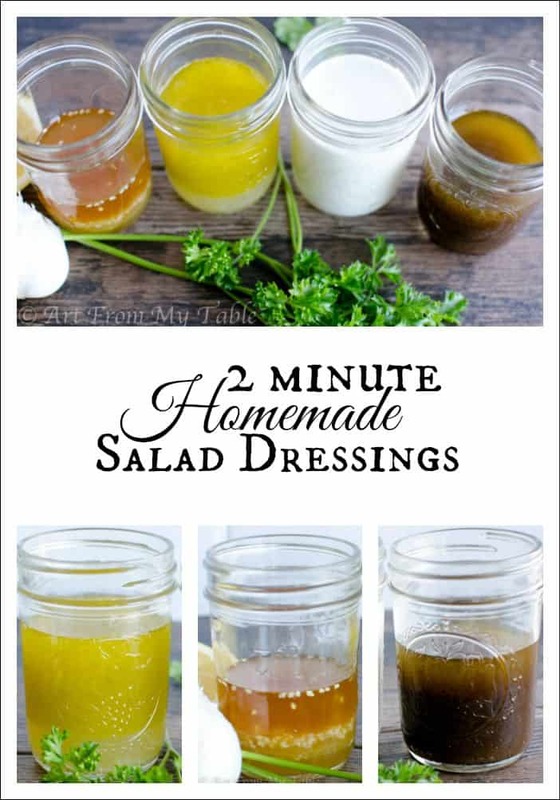 Have fun making your own healthy dressings. Be sure to check back in and let me know which one is your favorite, or what you come up with on your own! Super easy all natural salad dressings that will take you just a few minutes to make! 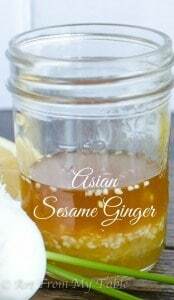 For each dressing recipe, place all the ingredients into a jar. Love them! Especially the blue cheese one! Thanks for the inspiration!